Flipkart has faced flak from the country's top management institute IIM Ahmedabad for the deferment of joining date of campus hires from June 2016 to December 2016. The company said its organisational restructuring has caused the delay and offered to pay Rs 1.5 lakh additional joining bonus for the campus recruits which the institute has termed unacceptable. "The organisational restructuring involves the creation of new business units in some cases and mergers in other cases. For example, we integrated our engineering organisation and created new units like the customer shopping experience group," the company explained through its website. In tandem with these changes, the firm's campus programme too will undergo an overhaul, it said. "As we work on redesigning this programme, we have taken a decision to postpone the joining of new recruits by a few months," it said. "As an organisation, this was a tough decision to make. We understand that it will disappoint a few students in the short term. However, we believe that it is important for us to bring our new campus recruits into an environment that is conducive to their learning and overall development. As mentioned earlier, to allay their pain and disappointment, we will offer an additional joining bonus of Rs 1.5 lakh to all recruits who join us in December," it said. Flipkart expressed hope that it would not affect the student's ability to pay back their educational loans and suggested candidates can seek an extension by submitting their revised offer letters to the banks. It also said it is "absolutely confident" about having all its trainees on board by December 2016. Flipkart's public admission of the delay and the offer to compensate for the hiccup in fresh appointments followed a strongly-worded letter from the chairperson of campus recruitment at IIM Ahmedabad to Flipkart CEO Binny Bansal. "The decision to defer the date of joining, coming as it does so close to the earlier promised date of June 2016, is sure to make this talent pool regret their decision of joining your company," Business Insider has quoted the letter. The institute has termed the compensation of Rs 1.5 lakh as unacceptable and demanded a monthly payment starting from June. However, the company did not respond positively to this. The letter has called Flipkart's decision as "unilateral" and a "rude shock". 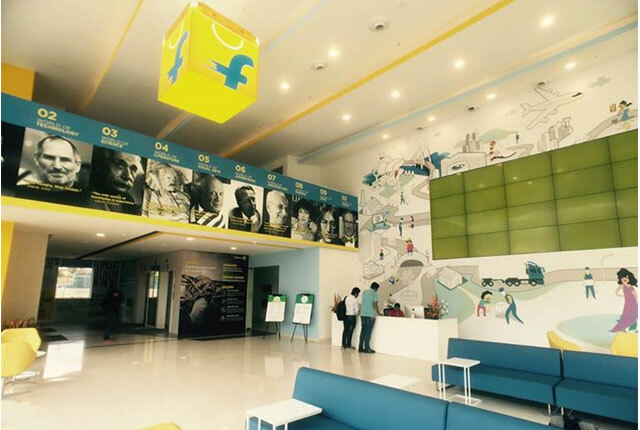 "Future engagement of Flipkart with business school campuses is bound to get affected..," it said. The latest controversy around the deferment of hiring added to the string of news on markdowns in Flipkart's valuation by some of the investors, senior level exits and challenges to its market leadership.